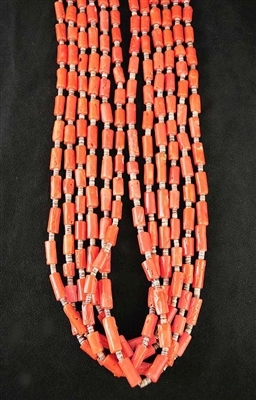 This lovely 6 strand necklace features deep salmon colored Mediterranean large tube coral beads with 3mm hand rolled olive shell heishi. This heishi is all American hand crafted and is not foreign made, dyed heishi from overseas. A great deal of hard work goes into the making of these type necklaces. It is just beautiful on! 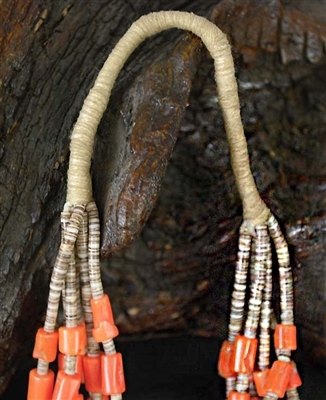 The necklace is 30" total length including a traditional wrap.